Time has not been on my side of late, as I'm sure my regular readers will have noticed by the lack of blog posts. I have been taking on more styling projects which I love, but it does take time away from the blog work. One of my new year goals is to figure out how to juggle the two areas of my work more efficiently! 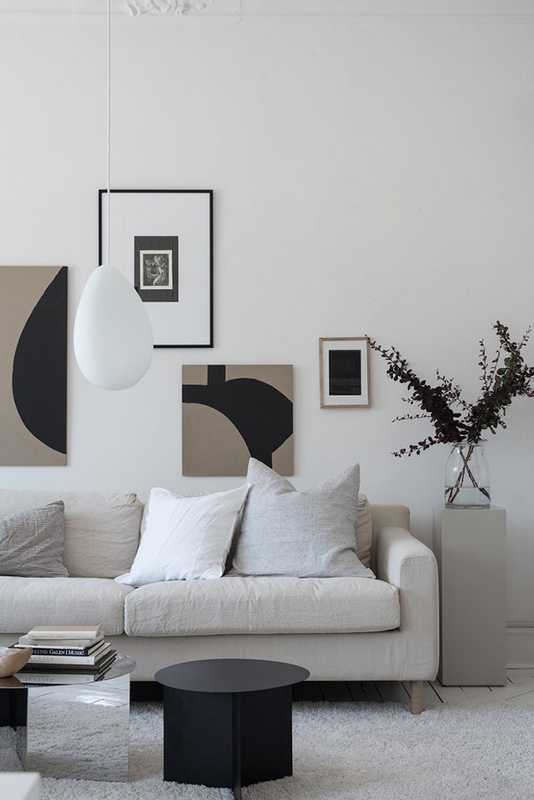 I started this post last week as a 'Real Estate Round Up' with inspiring homes from some of my favourite Swedish real estate sites. I'm not they are all still listed, so it's simply become three different but equally beautiful homes that I hope will inspire you as much as they have me! In this next home I was struck by the bright and beautiful living room with its huge windows, unique coffee table and shelves displaying a gorgeous collection of objects, lighting and books. And back on the topic of hanging art, what I love about low level shelves like this is that you can display artworks on the wall above.